Lovers! So sorry I missed you like 3 times last week. So sorry. I am a slacker and I admit it. Do you ever get in one of those funks? Where the creative juices just aren't a flowin'? Induced by writers block, lack of sleep and being over worked? Well I was there last week and it showed. It took some turkey time, booze and QT with some of our best friends to get me over the hump. While I am still not batting at 100, I am getting there. How can it be? One holiday has passed and now we buck up for the biggest and most intense one of all, Christmas. Christmas generally brings stress and angst for me due to the ridiculous expectations people put on it for gifts and travel on a timeline. It becomes about something that it is not really about. One thing this girl does enjoy about this holiday though, is the fabulous decor that comes with the territory. Now I know this is not going to be a shock to any of you at all, but super traditional holiday decor is not my thang. I love the use of any and every color mixed with any and every pattern. Limiting yourself to red and green only does not work for me, nor should it work for you. Think outside of the box. You will be so glad you did. 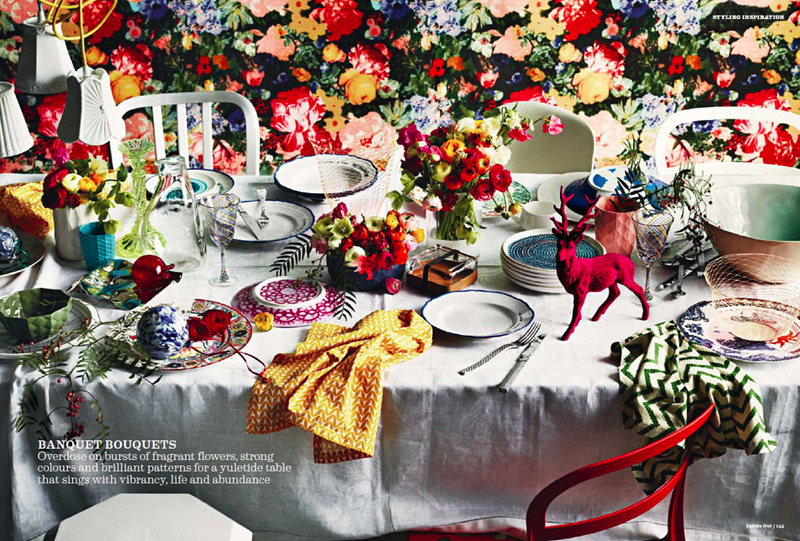 Look at these fabulous tables, homes and trees just waiting to be recreated. Magical and whimsical isn't it? I hope you all have a fabulous Monday. Love you. Mean it. Nice inspiration! I change it up every year so I don't fall asleep decorating the tree. 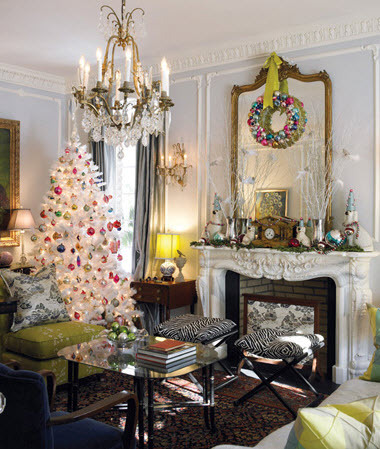 I seriously need two trees to satisfy my Christmas decorating needs. beautiful!!! Can you imagine having 3 Christmas trees?? wao!! You always find the best photos! I am with you on this one. Be original and keep it real in all ways. Funks come and go....no worries. so festive! 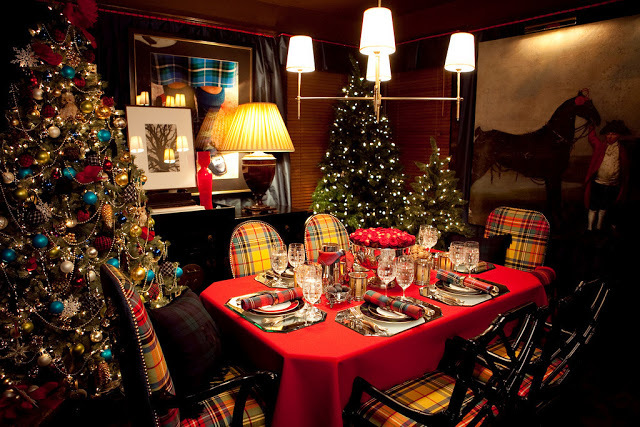 loving the Tartan inspiration! Very inspiring. Hope your holiday helped to reinspire you! AGREED. Red and green who?!? I prefer and pink and sparkly christmas! I loveeee Christmas decorations! I'm a big fan of mixing up the traditional holiday decor too. Yay for Christmas! I started pulling out my decorations last night. Sometimes it drives me crazy because it is so much work for a month. 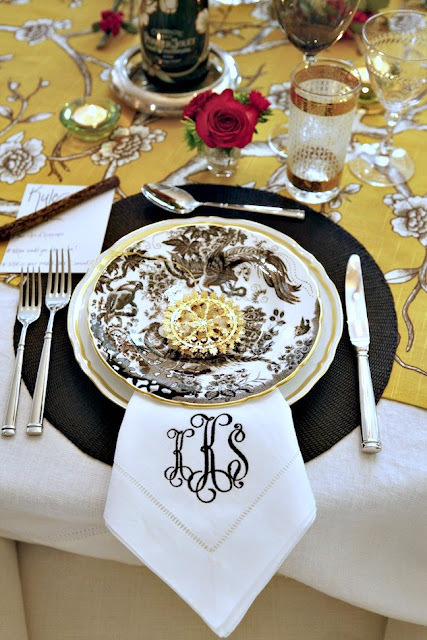 Love that you aren't a traditional tablescaper! You balance me out and challenge me. Love your picks. Love all of these! 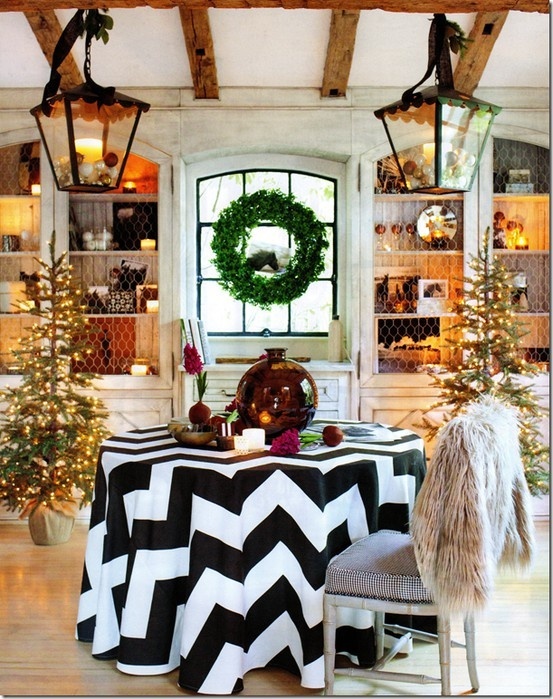 So pretty - my favorite is the chevron tablecloth incorporated into the Christmas decor - so chic!